John 1:12 NIV 12 Yet to all who did receive Him, to those who believed in His name, He gave the right to become children of God. I have noticed in my own walk and in the walk of others that the enemy loves nothing more than to separate us from our brothers and sisters. He likes to isolate us. When we have engaged in sin one of the first things we hear inside our heads is condemnation. If we continue to listen to the accuser instead of simply repenting and moving forward in our walk with Christ, Satan will use that condemnation and shame to isolate us from the ones we need the most. God created us with the need for fellowship. Just as He longs for fellowship with us, He has created a desire for fellowship inside us to have an abiding relationship with Him and with our brothers and sisters in Christ. Though each of us has unique giftings and talents, we are not created to stand alone or to operate alone. 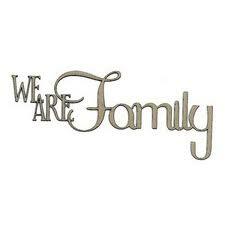 We are to operate as a family, each fulfilling his or her function. When we stumble, fall, or just get discouraged along the way, it is important to reach out to our church family. It is humbling to do so but it brings with it great rewards. We have a safe place to come to for prayer, love and encouragement. All things each of us will need from time to time. When we pull back from our church family, we often find ourselves becoming discouraged, lonely and left to feel rather isolated. Bingo, Satan has succeeded in keeping us from moving forward in our walk of faith! Several years ago, after a series of tragedies in my life, I became very discouraged. I wondered where God was when I was suffering? I pulled away from the church and thought I would be better off figuring things out on my own. Let me just say that it just prolonged my sorrow. I wasted precious time wallowing when I could have been enjoying the love and support of my brothers and sisters in Christ. I am so grateful to God for wooing me back into the arms of a church family. Though, no church is perfect, it is still the best place to be for spiritual growth, encouragement, love and support. It is also a place where God will train us up in our giftings, if we let Him. If you find yourself feeling isolated and apart from the body of Christ, ask God to give you direction in finding a church home. He didn’t create any of us to be islands. We function best and are most fulfilled when we work as a family. We just happen to have a very large family that encompasses every country in the globe and there is certainly a church family out there waiting for you and the giftings God has given you. Don’t postpone your loneliness and isolation. Ask God for direction in finding the church family He has waiting for you. Hebrews 10:24,25 NIV 24 And let us consider how we may spur one another on toward love and good deeds, 25 not giving up meeting together, as some are in the habit of doing, but encouraging one another—and all the more as you see the Day approaching.